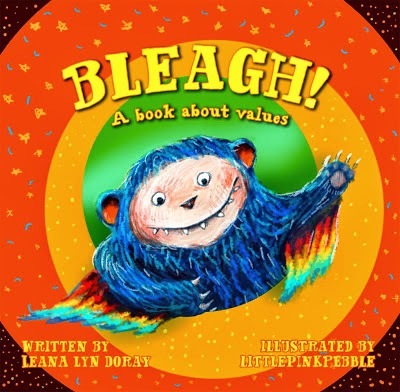 Bleagh was introduced to us a few months back and had taught us about value. This time Bleagh is joined by his sister Bleep in a continuation from Bleagh! The book picked up from where the last book ended, Bleagh returning home from school eager to share his school day with his mom until Bleep interrupts his conversation. Given that this is a tale centred around siblings, it is one that proves as entertaining as the first as we can totally relate to the relationship between Bleagh and Bleep. As the story unfolds, we learn values such as respect, commitment, independence, curiosity, enthusiasm and confidence. In between we had a glimpse of how siblings interact with one another. It is relevant in our relationship as we do not usually get along. This had resulted in Daddy writing a letter to us on Brother Love and even indulge in ways to deal with sibling rivalry. 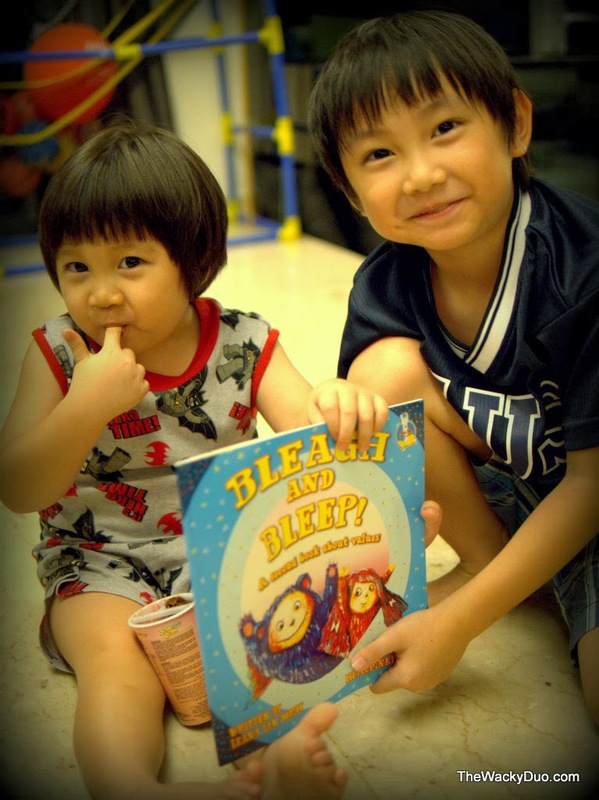 On hindsight, he would probably get our attention better with this book and through reading this book with us, it made us understanding the special relationship sibling has towards each other. As with the first book, the illustrations are vivid and eye catching. 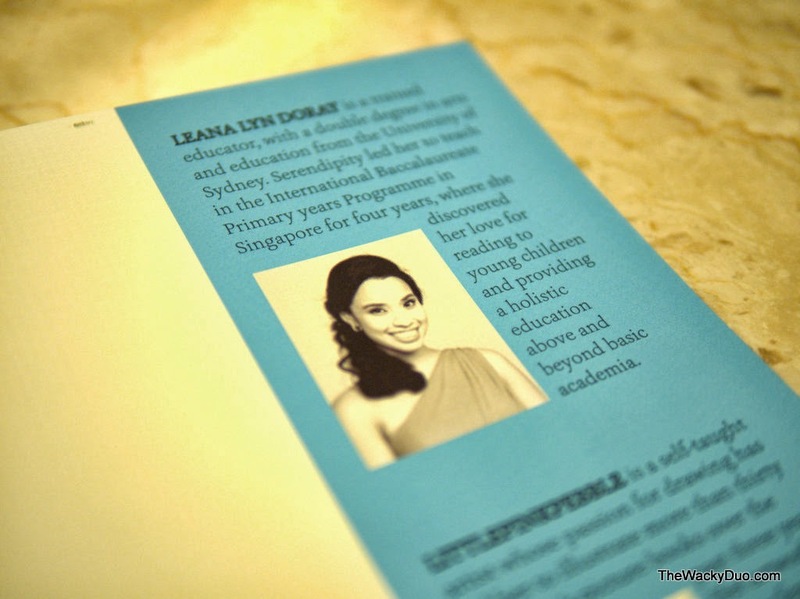 The story was also written in a way that it can be read in parts in relation with the values it is highlighting. Given how hyper we are, it would be impossible to finish this 32 page story in one go. By breaking into parts, it helps us understand the story better. At the same time we could easily pick up from where we had left off if we could not complete the story. Overall, this second book is as good if not better than the first book on Bleagh! Brother and Sister teams up! BLEAGH and his baby sister Bleep have a full day of homework, fun and exploring to do. Will they team up to become an unstoppable learning force? Source : Bleagh and Bleep! We have one autograph copy of Bleagh and Bleep for giveaway.The giveaway will be conducted on this post. 3) Share this post on facebook. Click here for facebook Link to share. Contest close 1 Nov Results out 5th Nov on this blog post.